It’s been a long time coming (work has got in the way), but we’ve got ourselves together to create the latest of our occasional trends reports from the team at Hope&Glory. We happen to think that having both ears to the ground, listening out for the things that are going on in the world’s of tech, fashion, food, culture … you name it. 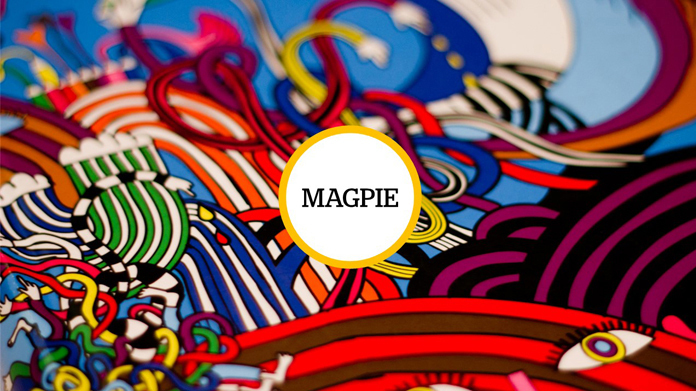 So welcome to Magpie which aims to do just that – in a way that is quick and easy to read, touches on a series of trends rather than choosing to go into any great depth on any of them. We hope that, if there’s something that piques the interest, you’ll be able to use this as a platform to do further research. Created by the Hope&Glory team, we’ve scoured the web and have put together some words where we’ve spotted stuff that has got us excited and inspired over the past couple of months. All we’d ask in return is that you have a read and then let us know what you think – it’s still a work in progress, so do be blunt. We’d really appreciate knowing whether this is a useful publication, what you like and what you don’t. If you could drop an email with thoughts, that would be just splendid. In the meantime, we hope very much that you enjoy the read and that it offers some food for thought.